You can find captured signatures online in your Poynt.net account. Step 3: Click on Transaction ID. 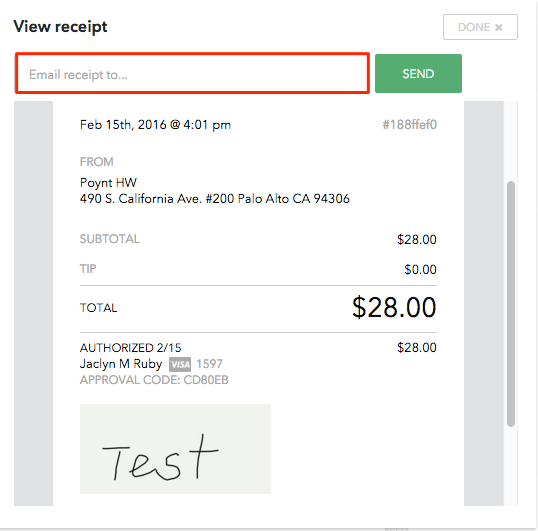 Step 4: You will see the signed receipt, and have the option to email the receipt to the customer. If you'd like to print the receipt, simply print the browser window.